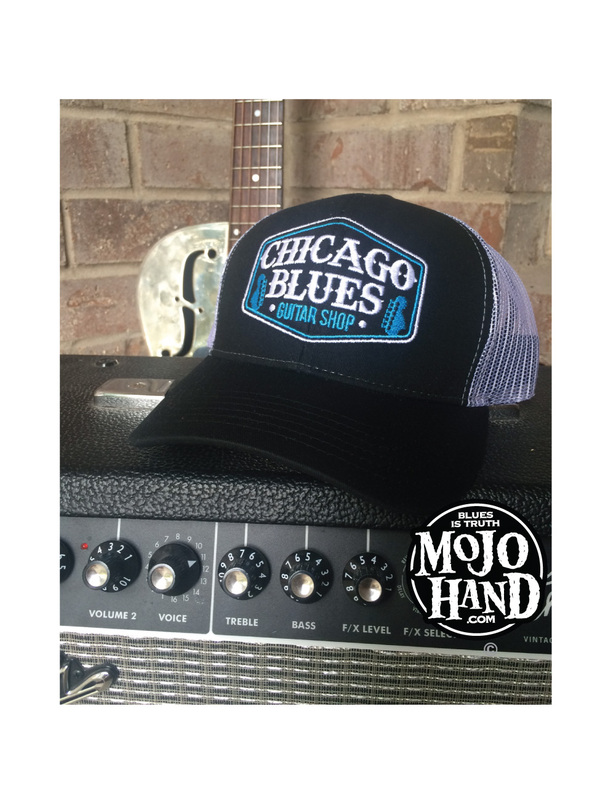 Chicago Blues Guitar Shop hat – fully embroidered on a Black cap with white mesh sides. The Blues logo beautifully embroidered on this OC snap back hat. Semi structured, mid size crown…. not too high, not too short! One size fits all – Muddy Waters would be proud to see you strut across the stage in this cap. A Mojohand.com exclusive – not sold in stores.